Do, do I ever have a tasty local treat for you to try! 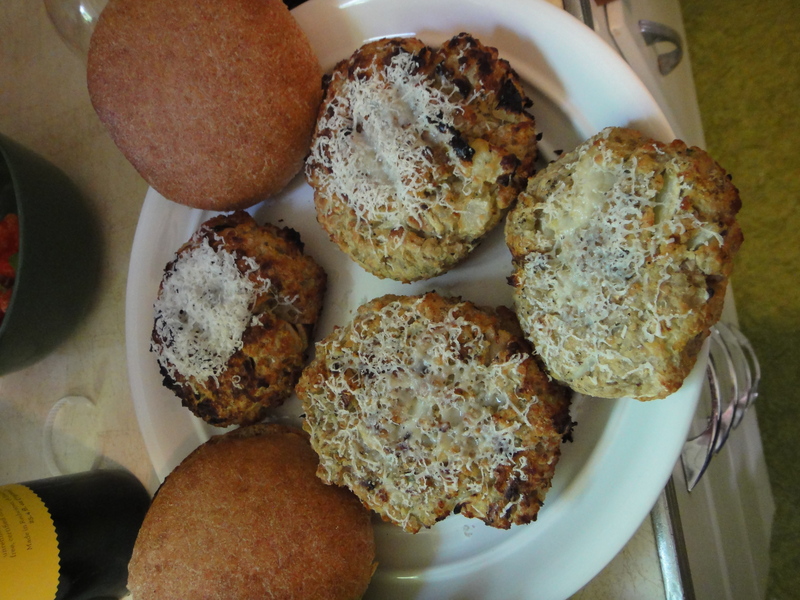 I had my lovely veggie friend over for dinner the other day, which gave me the opportunity to try my hand at making homemade veggie burgers from scratch. I love cooking veggie food, because I feel like it challenges me to think outside the box of “chicken or steak” for dinner. 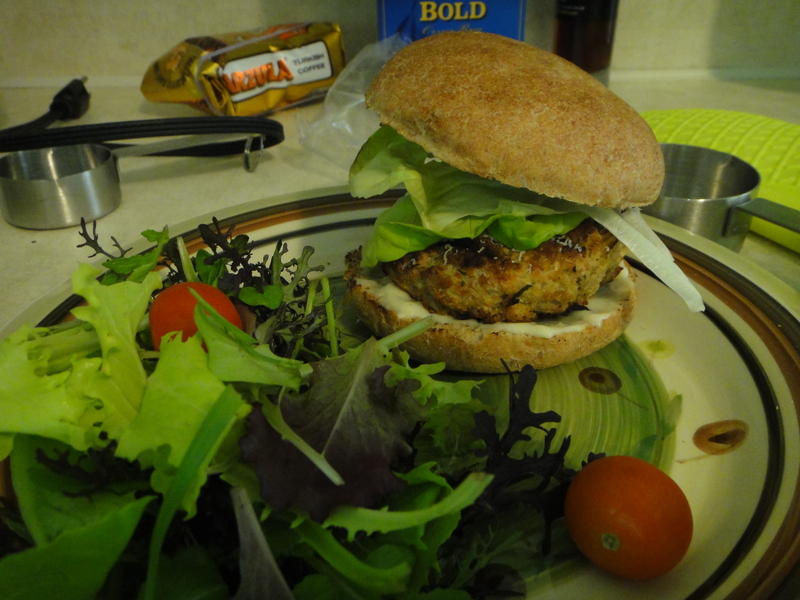 This is a perfect recipe for anyone looking to make a delicious local veggie burger for their next summer BBQ! 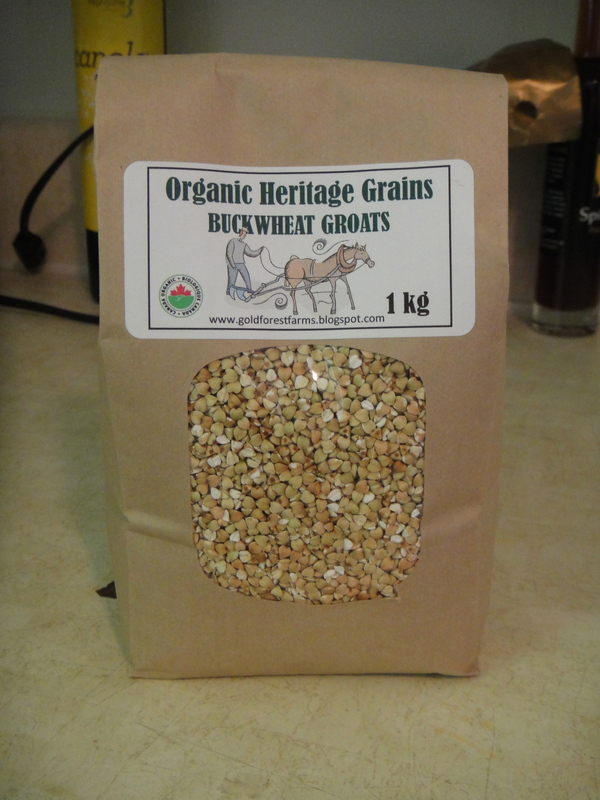 During my last market shift with Gold Forest Grains, John suggested I try the buckwheat groats. I had to confess that I had no idea what they were, let alone what to do with them. He said they were essentially the pre-milled form of their buckwheat flour. He also said that he has replaced all of the rice in his house with buckwheat groats, because of the health benefits. It is a grain, after all, so why not? This got me thinking, If I can make veggies burgers out of qiunoa, then why not branch out and use a much more local ingredient! 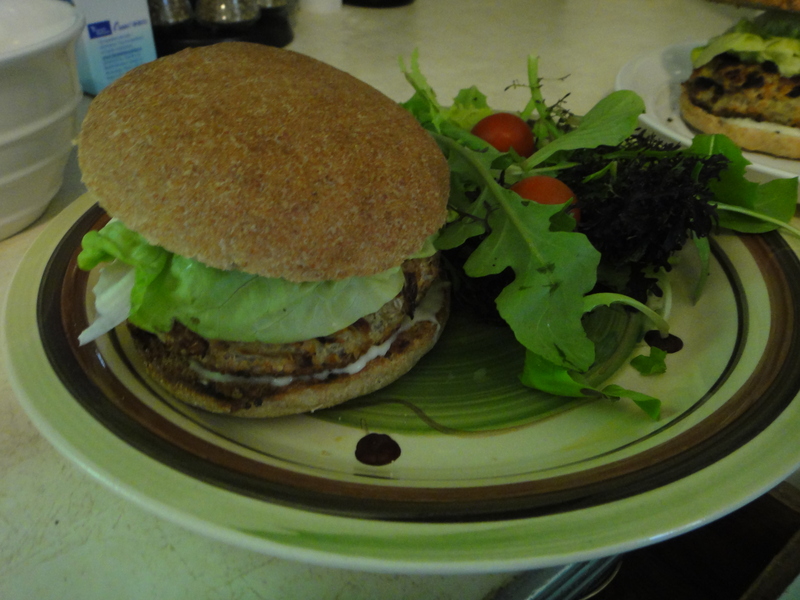 Thus, the idea of buckwheat groat burgers was born! Before the buckwheats are milled into flour, they look like these little heart-shaped pellets. Ern’t they beautiful? My new favorite topping for burgers in our house is honey garlic mayo. It adds the right amount of awesome to any burger. 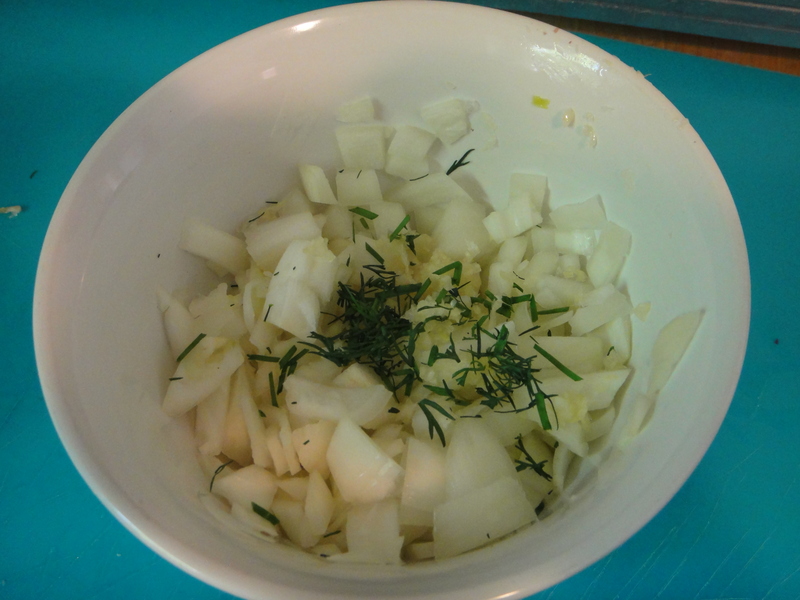 To add flavour to the burger, I diced up an onion and chopped up some dill and chives from the garden. I also used a dash of seasoning I picked up from the 124 street market at Elaine Wilson’s booth Food You Can Cook. 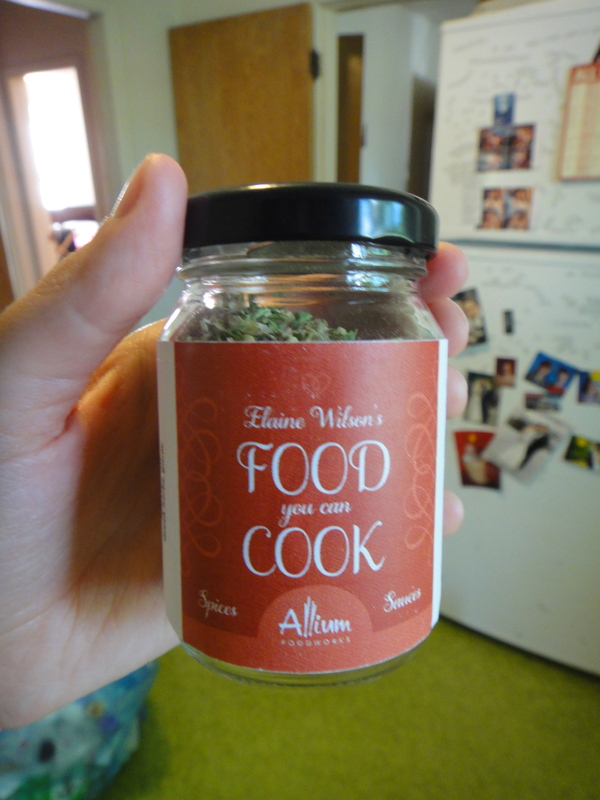 Elaine creates the most amazing spice blends I have ever smelled before. Justin and I easily spent 20 minutes at her market booth, smelling each and every sample bottle before finally deciding on one. Check her out! Cooking the groats was a little less foolproof than I thought. I tried cooking it just like rice, and it turned out a little to moist for the burgers, so I added a few ingredients to help it out. 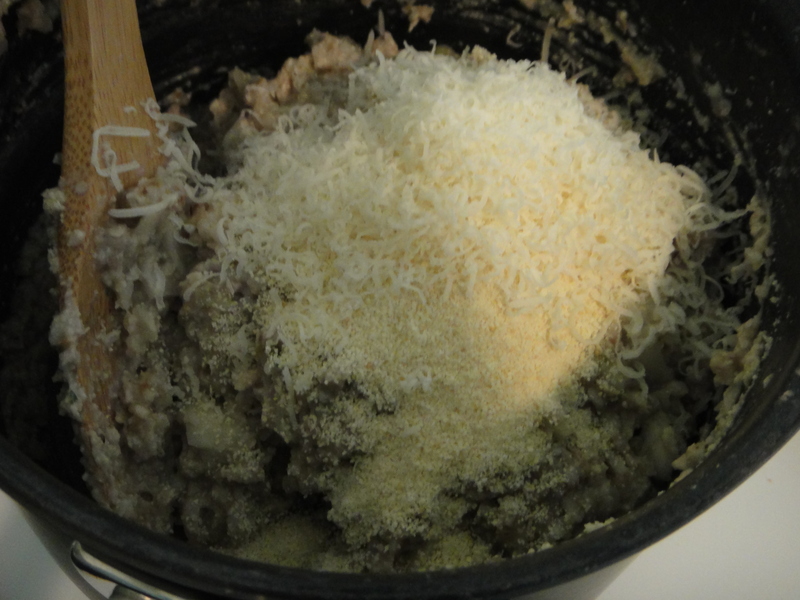 I added about a cup of Parmesan cheese and a heaping ton of breadcrumbs. Next time, I’ll add a little less water. 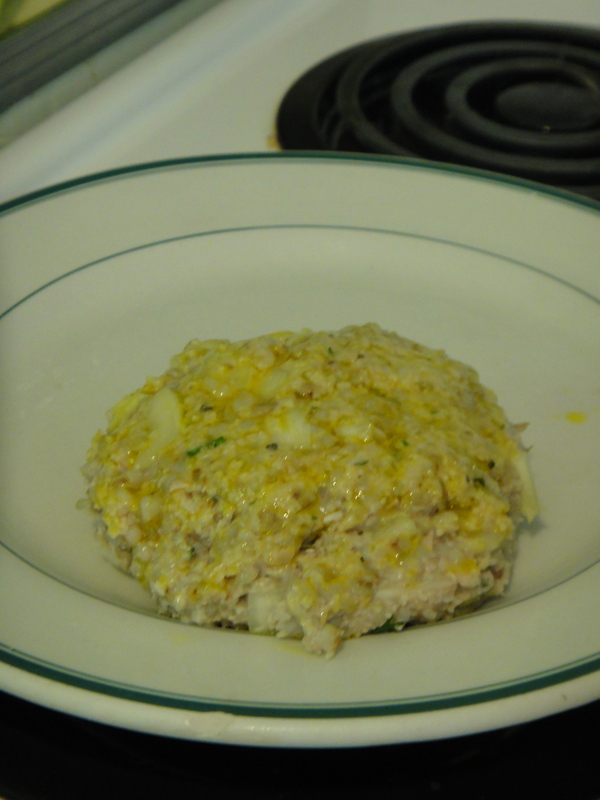 Here’s the burger mixture, all ready to be shaped into patties. 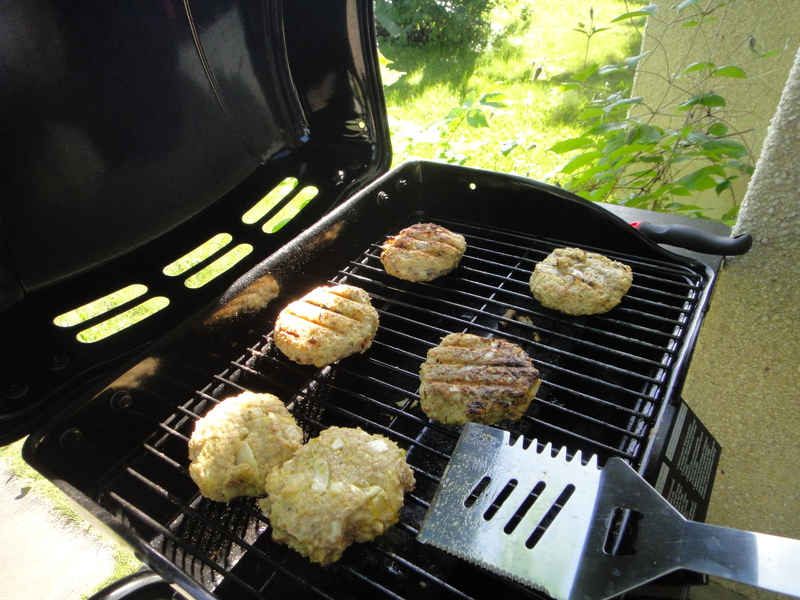 I brushed the patties with Canola oil from Mighty Trio Organics, to add a nice crispy finish to them, and to prevent them from sticking to the grill. Oh man, they look good! Here’s the grilled patty. Beautiful, isn’t it? I topped these bad boys with a little more cheese. Serve with a side salad, and you’re golden! Preheat grill. Bring groats and water to a boil. Reduce heat to med-low and simmer, covered, until all liquid is absorbed, stirring occasionally. Remove from heat and let cool. 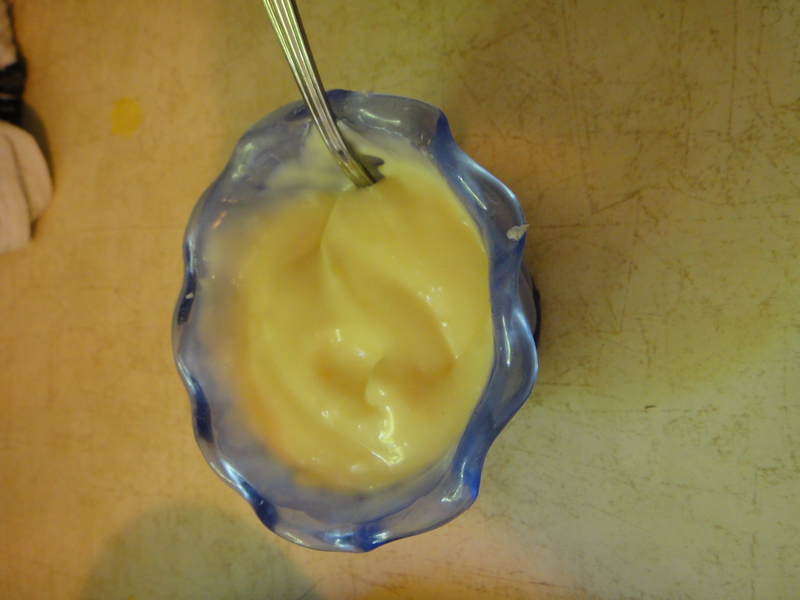 While you’re waiting, dice onion, and combine all ingredients to make honey garlic mayo. 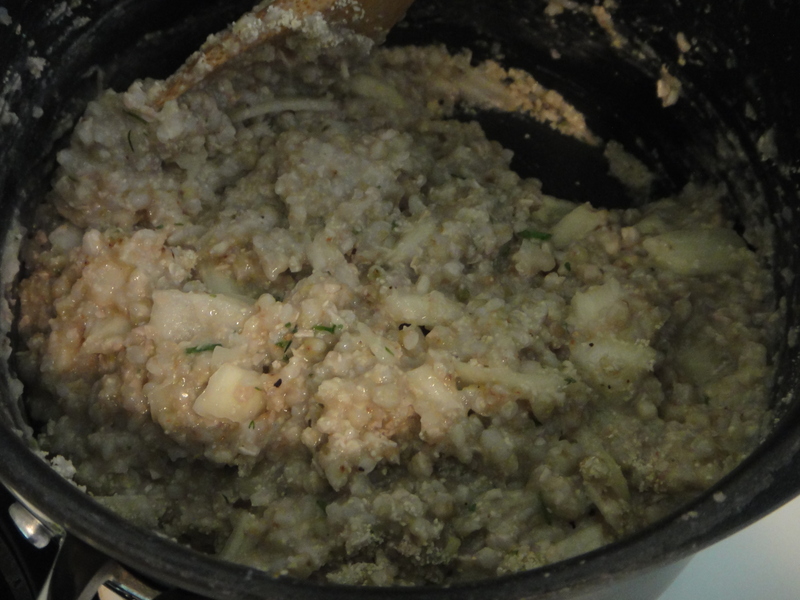 Add egg, cheese, onion and seasoning to buckwheat mixture. Stir to combine. 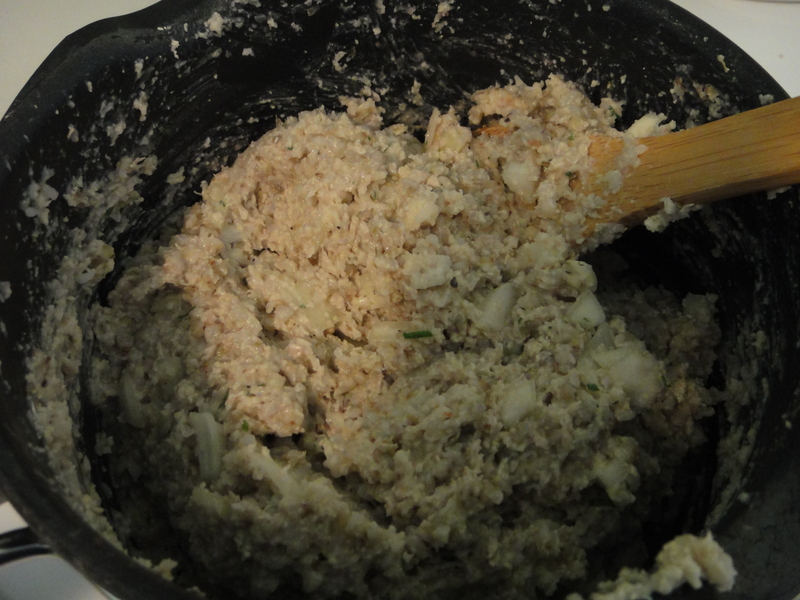 Add breadcrumbs, and keep adding more until your mixture is dry enough to form a patty. Shape patties using your hands. 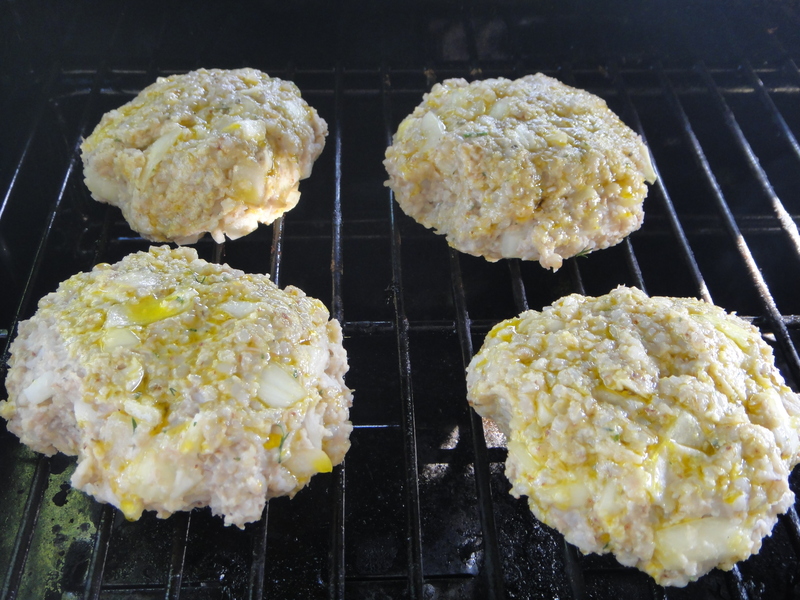 Brush both sides of the patty with vegetable oil before placing on the grill. 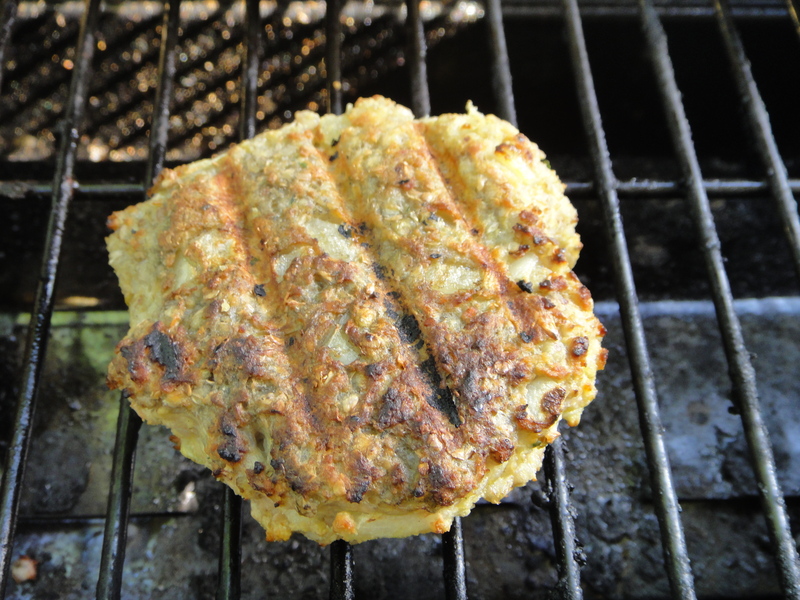 Grill until both sides of patty are crispy and light brown. Serve topped with more cheese and honey garlic mayo. Enjoy, a LOT! Buckwheat is a staple in the Ukraine. It is a seed from a plant with big leaves in the rhubarb family. The seed is first roasted at 350 F until lightly brown, about 10 minutes. This gives it a nutty flavour. 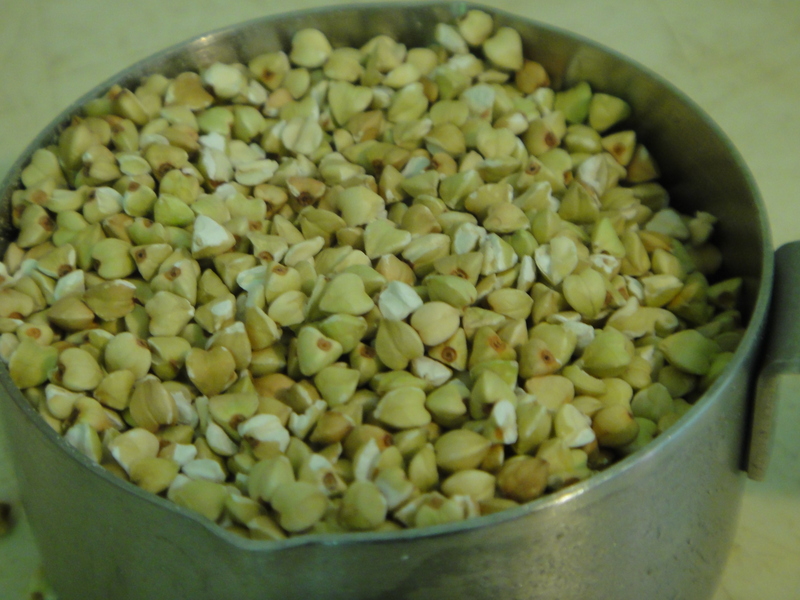 Their recipe is 2 cups groats 4 to 4 1/2 cups boiling water, 1 tsp. salt. Put the groats in a pot add salt and boiling water. Bring to a brisk boil, then cover with a tight fitting lid then cook on low (like rice) until most of the moisture is absorbed…10-15 min. or more. Then place in a 400 F. oven and bake for 30 min. then lower the temperature to 325 F and bake 325 F for 1/2 hour. When done the kernals are moist and fluffy and break apart easily. Sometimes they are ready before this. But they are fluffy and delicious. Enjoy.